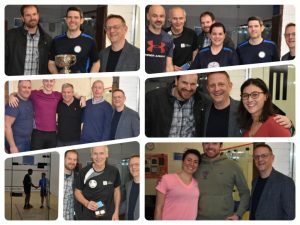 Darren Lewis and Roxy Keshavarz successfully defended their Mens’ and Women’s titles after an exciting conclusion to the annual First City Squash Championships at Wolverhampton Lawn Tennis & Squash Club. A sizeable crowd packed into the club on finals night to see Lewis hold off the challenge of Allan Walton and Kershavarz defeat Anya Stojanovic to maintain their stranglehold on the respective singles titles. 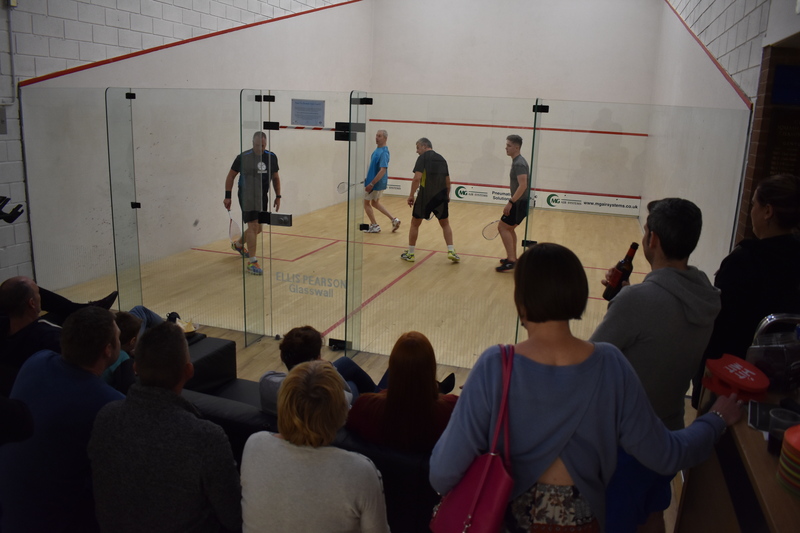 More excitement was provided by the introduction of doubles to the event for the first time, with Lewis and Stefanie Walczak prevailing 3-2 against Robin Chipperfield and Alexs Stojanovic, sealing a lively finale to the night’s squash. Chipperfield had already earned a place on the winner’s rostrum with victory in the ‘A’ plate competition against Alan Griffiths, while a tremendously entertaining Doubles plate final saw Andy Hepworth and Peter Roberts defeat Roy Cashmore and Mike Rawlings. In the ‘B’ grade singles event, Jordan Evans held off the challenge of Jodie Hodgkins in the final while the ‘B’ plate was won by Paul Hodgetts thanks to victory over Manny Virdee. Guy Birkett, Chairman of Squash and Racketball at WLTSC said: “We have had a tremendous year for squash and racketball at the club. “Court bookings are up and many more people have played team and tournament games than last year. The tournament brought an end to the squash and racketball season at WLTSC, but a new FA Cup competition, and summer Warwickshire League and Central League teams, will ensure that the action continues through the summer months. *Huge thanks from everyone at WLTSC to Christopher Bywater and First City for their sponsorship of the Annual Club Championships.